Vince Wilfork has long been hailed a hero on the football field, dominating the line of scrimmage for the perennial contending New England Patriots. 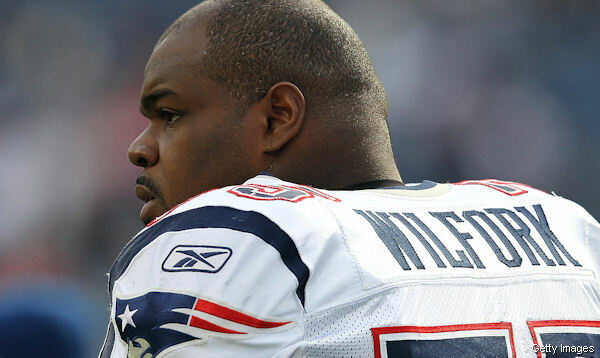 Earlier this week, however, Wilfork flipped the script and proved that he was just as much a hero off of the field when he helped rescue a woman that was the victim of a car crash. Driving home Monday morning, just hours after smacking down the Indianapolis Colts in the AFC championship game, Wilfork and his wife noticed a Jeep Wrangler flipped on its side on Massachusetts Route 1 highway. Pulling over, Wilfork approached the vehicle and looked to lend a helping hand. That’s when he saw 38-year-old Mary Ellen Brooks. Reaching into the car, the 6 foot 2, 325 pound lineman then grabbed Brooks and amazingly pulled her out with one arm (Russell Wilson beware). Wilfork and his wife, Bianca, then waited with the woman (who ended up being arrested for driving under the influence and negligent operation of a motor vehicle) for police to show up and help her out. This entry was posted in Culture and tagged crash, hero, Jeep Wrangler, patriots, rescue, save, star, vince wilfork. Bookmark the permalink.